With the Hotel, General Store, Gunsmith, Saloon, Sheriff, and Barber built, thought it was about time to start laying out the terrain. This is the first time I have built buildings THEN built the EasyGen terrain. I plan on forming the terrain around the building. 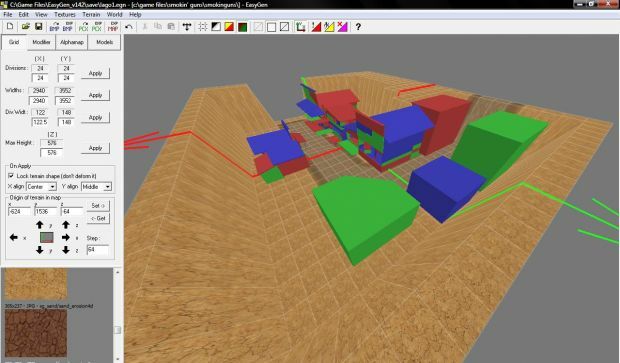 Screenshot of the EasyGen software and an early stage terrain.